Serenia Residences, the luxury development of 47 fully serviced residences located on the ‘Million Dollar Golden Mile’ in Talpe, Galle continues to attract foreign buyers who seek the south coast beachside lifestyle, coupled with a great return on their investment. 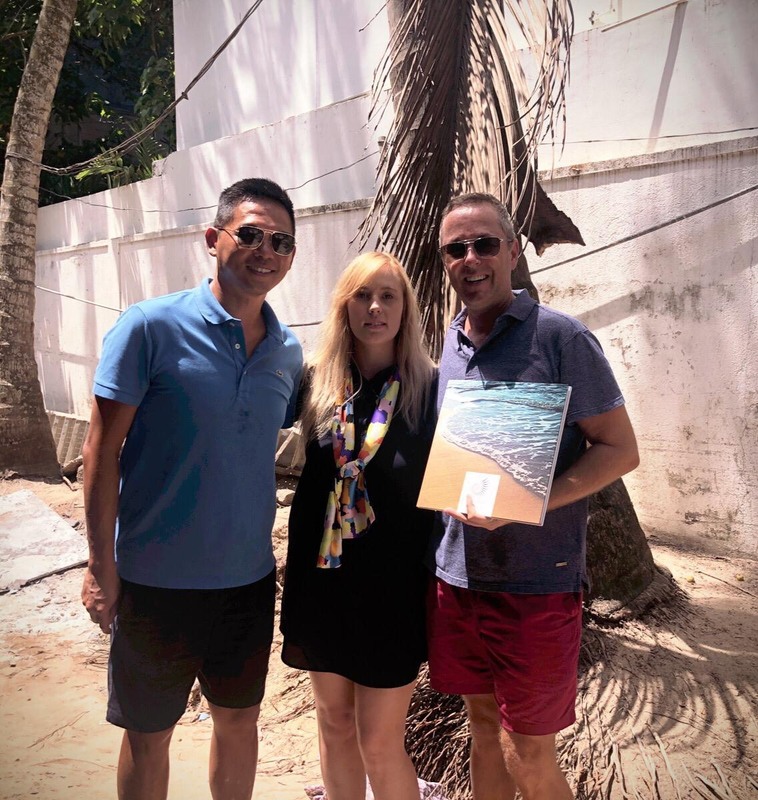 “What a great experience it has been working with Sabina and the team from Serenia Residences – their personal dedication to the project is evident. Today we went to see the building site and the progress far exceeds our expectations. The building is being closely managed and is on track. We were met at the site today and taken up onto the highest floor possible to experience the amazing views”, said Rob Lau. It was easy to set up our “IIA” bank account as a foreigner and purchase freehold in Serenia Residences. We have no hesitation in recommending Serenia Residences to anyone looking for a well managed quality development in Talpe, Galle”, said Wawrick Jenkin, happy Serenia owners. Sophisticated foreign investors are now recognizing the appeal of the Southern Coast of Sri Lanka, and are buying primary residences here, as well as seasonal homes and investment units. “They appreciate the safety and security of a freehold condominium unit and while other countries such as Bali and Thailand have historically been the ‘go to market’ for these investors, price points and lifestyle have shifted the focus of many foreign investors to Galle, due to the fact that Galle is surrounded by all major tourist attractions”. The famed Unawatuna Bay, the international Cricket Stadium, museums, art galleries and the proposed Yacht Marina in Galle Fort, as well as a wealth of other entertainment options are among the many advantages of the Galle Fort lifestyle, which contributed to Sri Lanka’s top rating in the Lonely Planet Guide. “It’s a beautiful location where individuals, couples and families find spacious residences at per-square-foot prices that are nearly half those of Bali or Thailand,” said Ms. Karunanayake. Clients who have purchased at Serenia are 65% foreign and 35% local ultra high net worth individuals who strongly believe in the South Coast, hence their decision to invest in Serenia as it is a product that will always be traded in US$. Due to the managed rental program clients will earn in US$ as well, mitigating any local currency volatility. “ Hence we offer the perfect platform to trade and earn in dollars”.